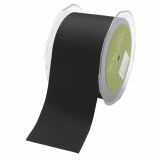 Grosgrain Ribbon 2-1/2"X20yd - MAYARTS-Grosgrain Ribbon. This package contains one 20 yard spool of 2-1/2 inch wide 100% polyester grosgrain ribbon. Available in several colors (each sold separately). Imported.